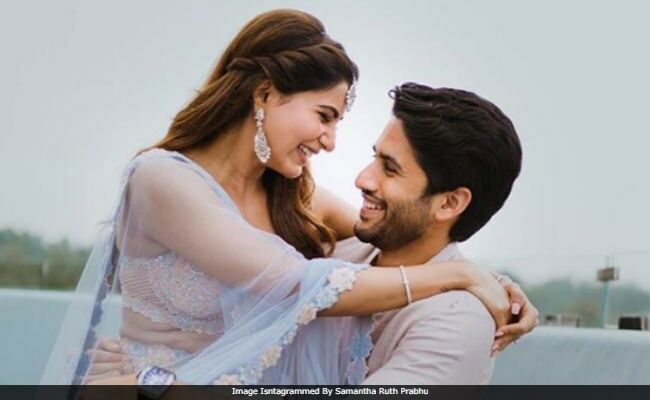 Inside pictures from Samantha Ruth Prabhu and Naga Chaitanya's wedding are sending the Internet into a frenzy of sorts. Fans of the celebrity couple are happy to get a glimpse of the wedding celebrations, being hosted in Goa. Samantha, the bride-to-be just delighted us with a few pictures from the mehendi celebrations. They feature Samantha and Naga Chaitanya together and they look adorable. "I love you my forever," she writes, adding heart emoticons. Samantha Ruth Prabhu and Naga Chaitanya, who have co-starred in films such as Ye Maaya Chesave, Manam and Thrayam, are getting married today as per traditional south Indian customs and a Christian wedding has been scheduled for October 8. Earlier in the day, we saw pictures of Naga Chaitanya with his father Nagarjuna Akkineni, brother Akhil Akkineni and step-mother Amala. The family of four were all smiles with Naga Chaitanya, dressed in a yellow kurta and festooned with a garland, in center. In another picture, Naga Chaitanya was spotted sandwiched between his father Nagarjuna, and maternal uncle Daggubati Venkatesh. Naga Chaitanya is the son of Nagarjuna Akkineni and his first wife Lakshmi Daggubati (daughter of Rama Naidu). Akhil Akkineni (son of Nagarjuna and Amala) is Naga Chaitanya's half-brother. Nagarjuna also posted an adorable picture with Samantha and wrote: "My kodalu in a few hours!" Of their wedding, Nagarjuna Akkineni also told Deccan Chronicle that a reception is being planned for Samantha and Naga Chaitanya but the date hasn't been fixed yet. 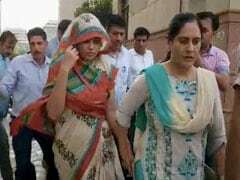 Times of India reported that the collective budget of the wedding is Rs 10 crore. Samantha Ruth Prabhu earlier told Mumbai Mirror that they'd be leaving for their honeymoon in December. Congratulations, Samantha and Naga Chaitanya.